Aug. 14 is Primary Day in Minnesota, when DFL and Republican voters choose which candidates will represent their respective parties in federal and state races in November (and voters select which contenders will advance in nonpartisan county, municipal or school board races as well). On the primary ballot this year are Minnesota governor, both U.S. Senate seats, all eight congressional districts, Minnesota attorney general and a handful of Minnesota House seats. Judging from the spike in absentee ballot requests over this time in 2016, all signs point to high voter interest and turnout this year. Here’s what you need to know going into Tuesday’s primary elections. You can use the Minnesota Secretary of State’s Polling Place Finder to find your polling location. While you’re at it, you can also preview your sample ballot and see all of the races and candidates as they will appear. Minnesota has an "open" primary system, which means a voter can choose to cast a ballot in either the Democratic or Republican primary, regardless of their personal party registration. In non-presidential election years (like this one), there is just one ballot that contains both DFL and Republican contests, but voters can only vote for one party or the other. You will be able to register to vote at your polling place, but you’ll need to bring identification and proof of residence, or short of that, a registered voter in the same precinct to vouch for you. More info about same-day voter registration here. If your voter registration is current and active, you do not need to show identification to vote. If you have more questions about voting, they’re probably answered on the Secretary of State’s website. We have listed major candidates for federal and statewide races and we’re tracking campaign fundraising in the governor and congressional races. The full list of every candidate who filed to run in these races can be found here. There’s a lot at stake in this year’s gubernatorial race. With Gov. Mark Dayton retiring after two terms, the race for governor is wide open. After the 2020 census, Minnesota may lose a seat in Congress. Whichever candidate wins will have the power to approve or veto the new congressional districts (as well as Minnesota Senate and House districts) drawn by the Legislature. If Republicans win and maintain their control of the Minnesota House of Representatives, they'll have full control over state government for the first time in half a century. Both leading GOP candidates, former governor Tim Pawlenty and Hennepin County Commissioner Jeff Johnson, have sought to win over supporters of President Donald Trump and, notably, have taken hardline positions on immigration. On the DFL side, three candidates are leading the pack: state Rep. Erin Murphy, Attorney General Lori Swanson and U.S. Rep. Tim Walz. All three hope to emerge from the Aug. 14 primary, stitch together a divided party and beat the Republican candidate. The consequences are huge: Whether Minnesota stays on a path set by the last eight years of a Democratic governor, or joins neighboring states in choosing Republican rule. 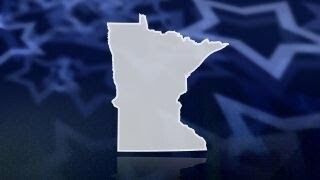 Read more about the state of the DFL race here. The race to replace Swanson, who entered the gubernatorial contest after losing the DFL party endorsement to Minneapolis attorney Matt Pelikan, is especially high-profile this year because of U.S. Rep. Keith Ellison’s decision to jump into the race. With five DFL contenders, three Republicans and one Grassroots-Legalize Cannabis, the AG race is shaping up to be one of the state’s most competitive of the year. The winner could define the role of Minnesota’s attorney general at a time when the people who hold that office around the country have become key players in the nation’s most contentious political fights. In a very rare occurrence, both of Minnesota’s U.S. senators are on the ballot this year. Sen. Amy Klobuchar is up for re-election, while the resignation of Sen. Al Franken amid sexual misconduct allegations in January set up a November special election and another, regularly scheduled election in 2020. Dayton appointed then-Lt. Gov. Tina Smith to replace Franken, and she faces a primary challenge from University of Minnesota law professor Richard Painter, a former Republican and White House ethics lawyer during the George W. Bush administration. On the Republican side, state Sen. Karin Housley won the party endorsement and is the clear front-runner. Read Judy Keen’s report surveying the race from July. No big surprises are expected in Klobuchar’s race. State Rep. Jim Newberger is likely to pick up the GOP nomination to challenge her in the fall. The big primary race to watch is in the Fifth Congressional District, which includes most of Minneapolis and is open after Ellison decided to run for attorney general. This is among the most Democratic districts in the nation, so whoever wins the primary will be the heavy favorite to win in November. There are three DFL candidates leading the way: Minnesota Rep. Ilhan Omar, State Sen. Patricia Torres Ray and former Minnesota House Speaker Margaret Anderson Kelliher. Kelly Smith reported earlier this month that there isn’t a whole lot of daylight between the front-runners on policy matters, so they are choosing to emphasize their personal stories and legislative experience. Most of the action at the congressional level will take place in November, but there is one other DFL primary contest of note in the Eighth Congressional District, which spans the Arrowhead region and much of the Iron Range in northern Minnesota. With an open seat thanks to the retirement of U.S. Rep. Rick Nolan, a Democrat, national Republicans view the Eighth as one of their prime pickup opportunities in an otherwise tough climate. Five DFL candidates are in the running to replace Nolan. 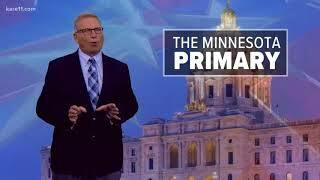 No candidates were endorsed by the party at the DFL state convention in June. The GOP-endorsed candidate, retired police officer and current St. Louis County Commissioner Pete Stauber, has already received campaign visits from President Donald Trump and Vice President Mike Pence on separate occasions, illustrating how crucial this race will be for Republicans in November. The majority of primary contests for the 134 seats in the Minnesota House of Representatives have just a single candidate, so most of the excitement there will take place in the fall. In the metro area, Hennepin County Sheriff Rich Stanek has two challengers in his race for re-election. The special election for St. Paul’s Ward 4 city council seat has also drawn a lot of attention because one of the candidates, David Martinez, has been arrested repeatedly in recent weeks. He is not expected to prevail.